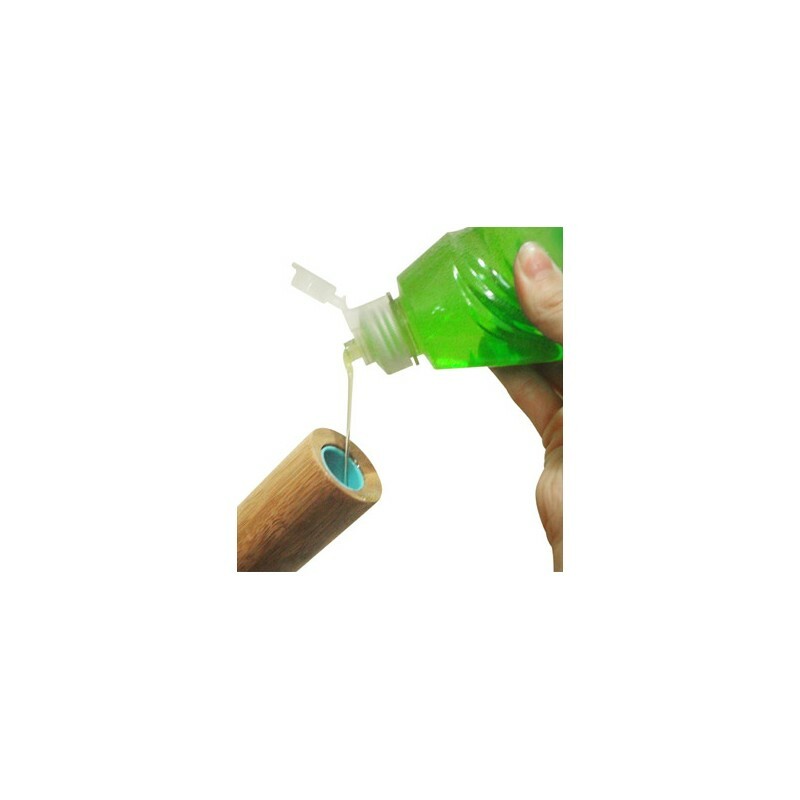 The Suds Up brush is made with a stand-up bamboo handle, a push button for easy soap dispensing, and bristles that are naturally tough and absorbent. Replaceable heads available. 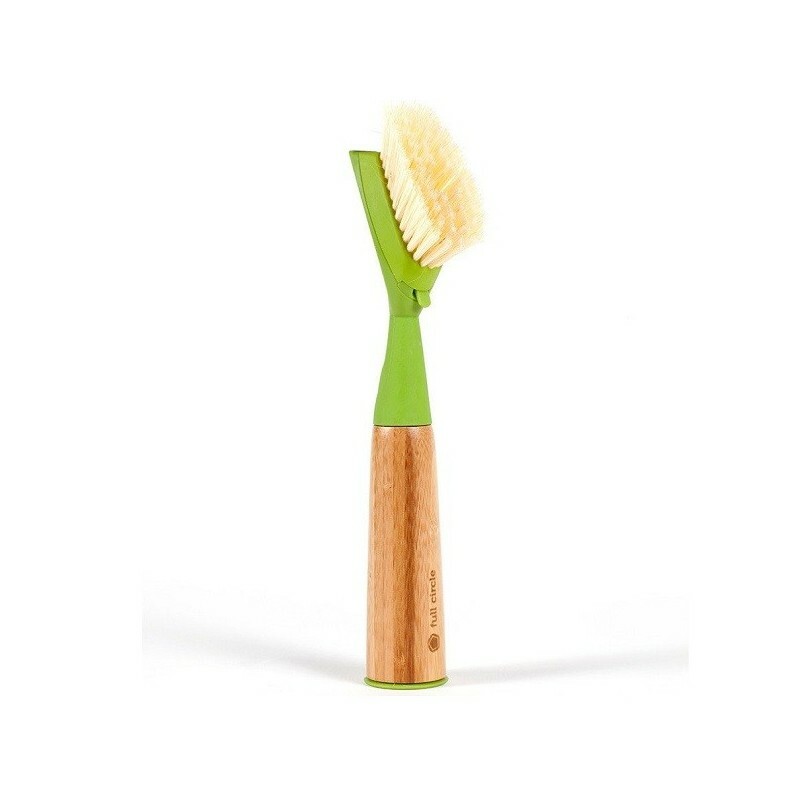 The Suds Up brush is made with a stand-up bamboo handle, a push button for easy soap dispensing, and bristles that are naturally tough and absorbent. Made from sustainable, biodegradable materials. Produced in China under ethical labour conditions and environmentally responsible standards. Recycled and FSC certified paper used for marketing materials and packaging. 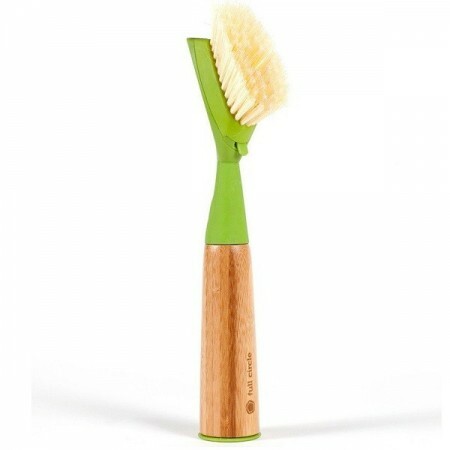 All-natural bristles absorb and hold soap; recycled bristles provide tough scrubbing action. Fill soap through bottom cap, push button for easy soap dispensing. Stand up design provides storage solution and keeps the bristles off your countertop. Replaceable brush head reduces waste. Bamboo is finished with natural oils to withstand water. bamboo, natural bristles, recycled plastic bristles, plastic, biodegradable Bonterra™ (a plant-based plastic). Browse our healthy home range. Great dish brush, very handy that it stands up as it allows it to dry without taking up much bench space. Looks good. Works well with the sponges. Not a fan of the brushes. Strong bristles, cleans well. I didn't buy it for the soap dispenser, so don't use that feature.